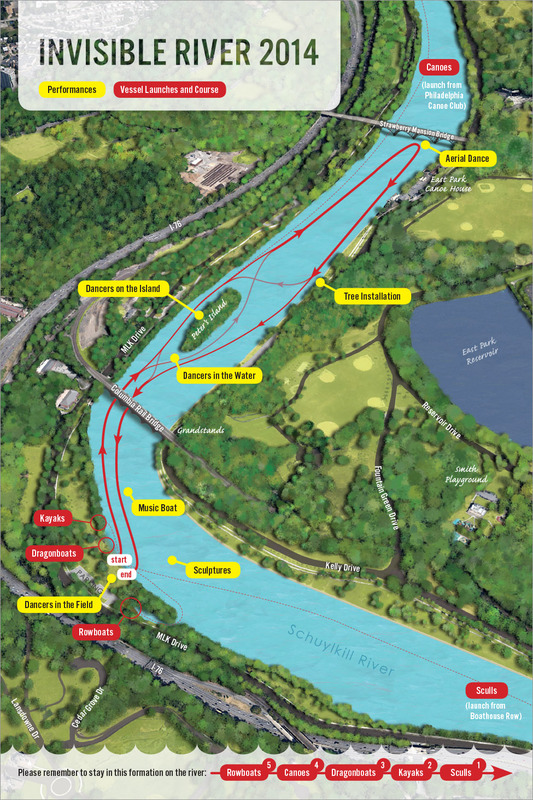 Schuylkill is Dutch for hidden, and this folding map takes that meaning to heart. 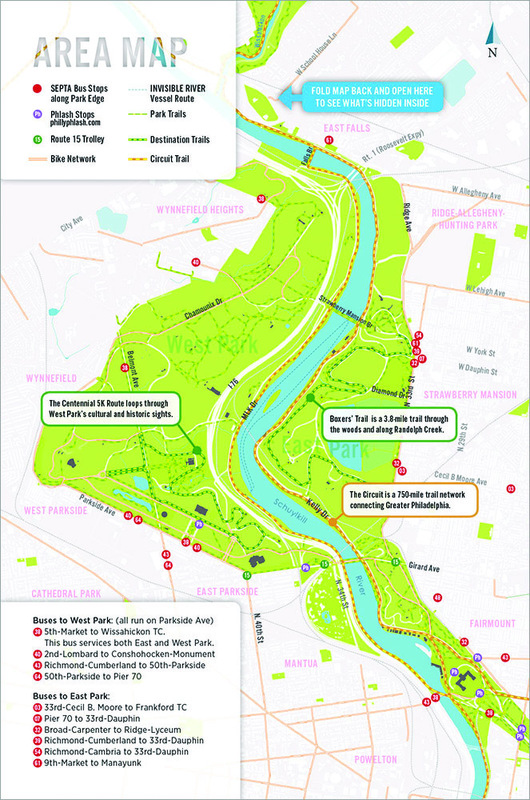 Invisible River was a performance as well as advocacy event, in which participants in a flotilla of vessels—from canoes to dragonboats—rowed up the Schuylkill and back, experiencing floating sculptures, dancers, and aerial performers on and above the water. 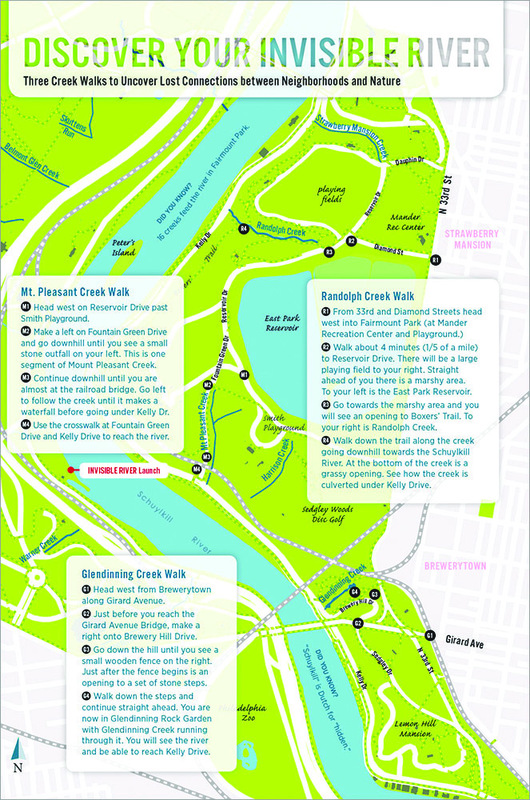 I created this deceptively simple event handout using cuts and special folds, to reveal three different maps that orient participants to landmarks and provide directions for three "hidden" creek walks within Fairmount Park.